Do you dream of managing your own sports team? Well now you can! Established in 2001, ManagerZone is a game for strategists and sports enthusiasts alike. 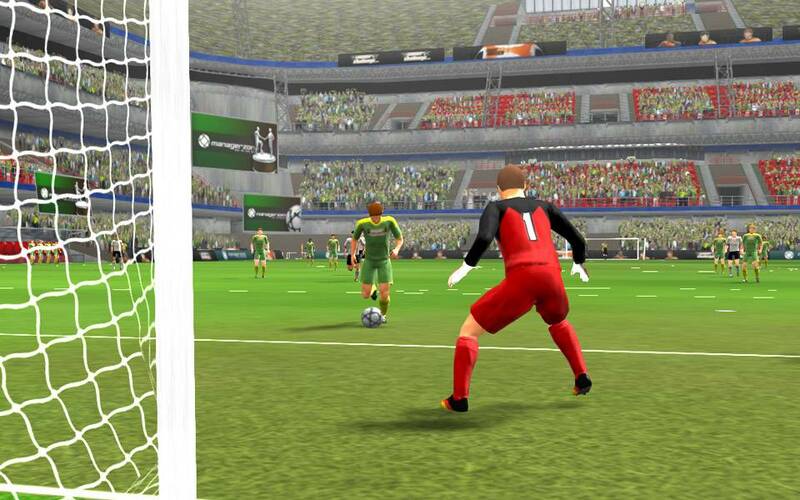 It lets you live the thrilling experience of running your very own football or hockey outfit, molding your Club in your own image, recruiting and training Players, setting your own custom Tactics and watching your team’s matches through a stunning 3D engine. ManagerZone is a tough but rewarding game, pitting you against real people from your country and around the world. It is not a game for those who quit easily, and your determination will be tested as you develop your team over days, weeks and years! Our longest serving Managers started playing the game in 2001! Will you be able to match their commitment? In ManagerZone you can follow your Players from the first day they arrive at your Club as Youths, through the Youth and Senior Leagues until the sad day when they decide to retire. At that point you can convert these legends into Coaches and have them train the next generation of star Players. Our Managers love their Players; they have trained them, cursed them, praised them and lived every moment of their ManagerZone careers! A good Manager spends their Team Money wisely and has a clear vision for their Club. Remember that you are totally responsible for your Club´s finances and it's up to you to decide how you spend your cash whether it’s on your Stadium, or your Senior and Youth Players. If your Club goes bankrupt, you will lose it and be forced to start over. Along with the regular Sunday and Wednesday League matches, there are many great ways for your team to compete against other Managers. Official Cups earn prestige and Team Money for your team; Prized Cups include Power Token prizes along with great trophies. Friendly Leagues and Cups help maintain team form and are a great way to play in a small competition with family and friends. If you are eager and can´t wait for the next match - no problem - you can challenge the Top teams, the Crew team or send your Chef Scout to your rivals to produce a Scout Report. Joining in the Community activity via Forums, Guestbooks and Message Boards is one of the best parts of playing ManagerZone. Here you have the chance to meet people who share the same interests as you! From read The Zone (our own sports magazine), to joining Federations, to following us on social media, there are many ways to make friends with other Managers from all over the world.